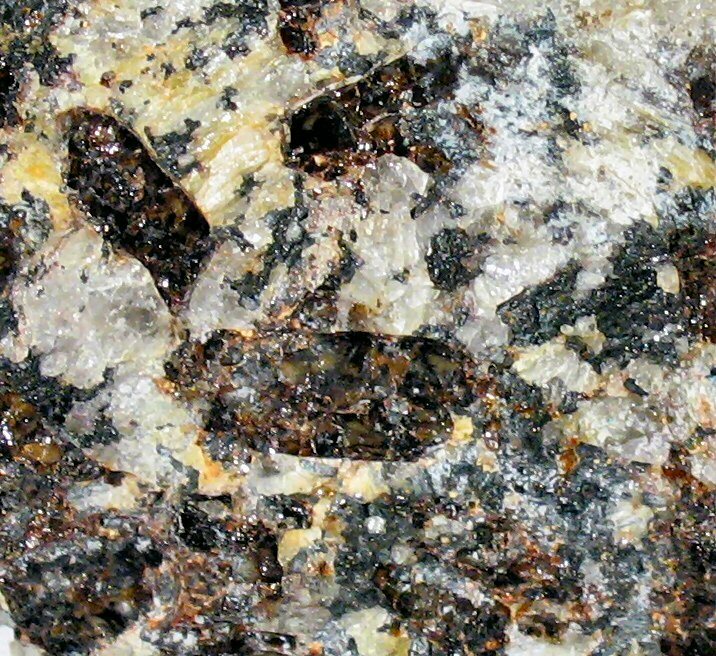 Comments: Brown cm-size britholite-(Y) grains with typical prismatic 'apatite' outline in quartz matrix with black magnetite. Tengerite-(Y) forms the white encrustation in upper right part of the photo. Location: West Keivy Block, Western Keivy Massif, Kola peninsula, Murmanskaja Oblast', Northern Region, Russia. Scale: Picture Size 3.5x3.5 cm.